En route to the 2016 Dayton Hamvention, I’m doing a few National Parks On The Air (NPOTA) activations with my my buddy, Eric (WD8RIF). Eric is currently the number one activator in the state of Ohio. 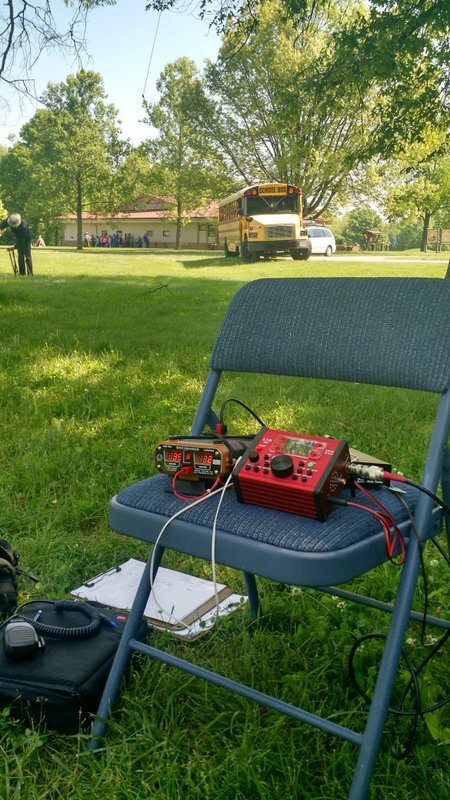 NPOTA is a great excuse to get outdoors and play radio. For me, it’s a great excuse to test the LNR Precision LD-11 and my new QRP Ranger portable power pack. 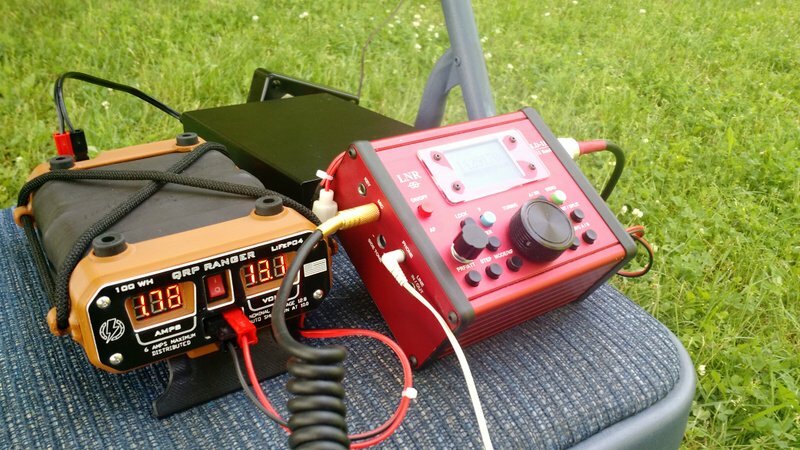 I am loving the new QRP Ranger power pack–it is the solution I decided on after publishing this post a few weeks ago. It’s a little pricey, but it’s built like a tank, very lightweight, includes a charge controller made specifically for the LiFePo cells, and made here in the USA. It also had a very readable LED display that my buddy Eric says is, “reminiscent of the displays on the Apollo 11 module.” He’s kind of right! It’s so nice to have both a volmeter and ammeter on the front panel. 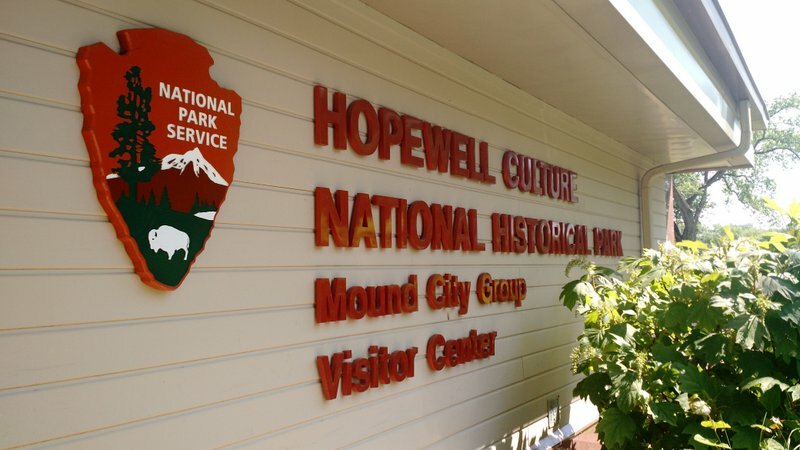 We just finished activating the Hopewell Culture National Historical Park (I’m writing this post while Eric drives us to our next activation). I made 12 contacts running SSB at 8 watts. Eric made 16 contacts via CW at 5 watts. I’ll be calling CQ on 14.290 MHz and 7.290 MHz +/-. Please hop on the air listen and/or answer my call if you’re a ham! Of course, tomorrow through Sunday, you can find us at the Dayton Hamvention in booth SA0359 in the Silver Arena. This entry was posted in Events, Hamvention, News, Portable, QRP and tagged National Parks On The Air, NPOTA, WD8RIF. Bookmark the permalink.